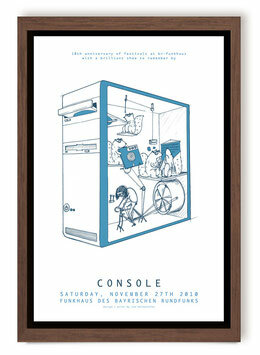 The poster is made for the puls Festival in munich. 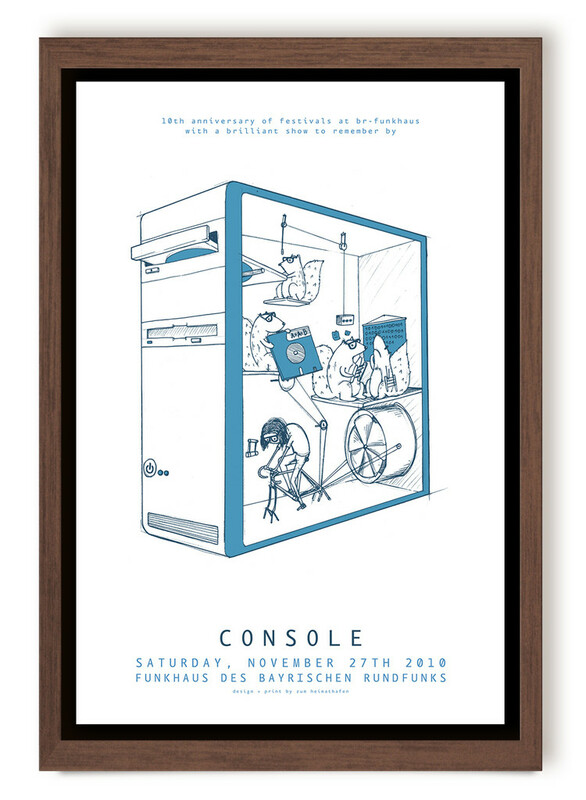 They asked for posters for special shows, I’m super happy I could make a print for the “Console” concert on the 27th of november 2010. It’s a 2 colour print, pulled by hand in a studio in Hamburg on 220gsm white paper with a matt finish, FSC certified. Limited edition of 60 prints, all are signed & numbered and will be shipped inside a cellophane sleeve with a strong cardboard box.